With all the talk about running applications in the cloud, you may have noticed few enterprises putting real workloads on today's cloud platforms. Join our webinar to learn what the obstacles have been and how Red Hat can help you overcome them. Cloud PaaS from the open source enterprise expertUntil now, there's been an absence of important enterprise capabilities provided by vendors who truly understand the cloud and the needs of enterprises. What is really needed in an enterprise-grade cloud platform. Why only a vendor who truly understands both enterprise and cloud can help you. How unique cloud capabilities from OpenShift by Red Hat and Red Hat JBoss® Middleware can help you achieve greater IT agility and competitiveness. 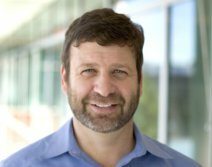 Paul Cormier leads Red Hat's technology and products organizations, including engineering, product management, and product marketing for Red Hat's technologies. He joined Red Hat in May 2001 as executive vice president, Engineering. Paul's leadership and experience in enterprise technology has led to the introduction of Red Hat's acclaimed line of enterprise products, including Red Hat Enterprise Linux®, Red Hat JBoss Middleware, and OpenShift by Red Hat. He has been instrumental in forging tight partnerships with many leading technology companies.